CHEOPS will search for exoplanets by looking for a drop in brightness they cause when they pass in front of their parent star. CHEOPS, or CHaracterising ExOPlanet Satellite, is a planned space telescope that will focus on bright stars known to host planets. The European Space Agency mission is expected to launch in 2018. The telescope will figure out the radii for planets in the super-Earth to Neptune mass range by watching the planets transit, or pass across the face of, their host stars. It will do this by doing photometry (measuring light) to unprecedented precision, watching as each planet dims its host star's light during a transit. The goal is to figure out which planets would be best for follow-up observations, especially to learn more about their atmospheres – a key component of habitability. After launching in 2018, the spacecraft will orbit Earth in a sun-synchronous orbit, meaning that the sun will always be in the same relative position to the telescope. CHEOPS is expected to have at least 3.5 years of science operations. CHEOPS was selected over 25 other proposals for the first S-class opportunity in 2012, for a launch in 2018. A second S-class mission, Solar wind Magnetosphere Ionosphere Link Explorer or SMILE, was selected in 2015 for a launch in 2021. The spacecraft was ready for construction by 2014. As of early 2017, the CHEOPS team was recruiting for science team associates to join the group. As a public relations tool, CHEOPS will carry 3,000 drawings about space exploration drawn by European children. These drawings will be shrunk 1,000 times smaller and engraved on two metal plaques attached to the satellite. We only know this information roughly for most planets, and the backers of CHEOPS promise that the mission will provide radii data with unprecedented precision. Some of its science goals include understanding how Neptune-like planets formed and behave; figure out targets for future ground-based or space-based telescopes to do spectroscopic analyses; and learn more about the atmospheres of "hot Jupiters" (Jupiter-like planets close to their respective stars) to see how energy moves from the hot day side of the planet to the cooler night side. CHEOPS will use a charge-coupled device (CCD) mounted on a telescope with a roughly 12-inch (32 centimeter) aperture. The detector will be passively cooled to roughly 233 Kelvin (minus 40 degrees Celsius, or minus 40 degrees Fahrenheit). An optical telescope assembly (OTA) that includes the telescope, the optical structure, the back-end optics, the focal plane module and radiators for cooling. A sensor electronics module (SEM), including a sensor controller unit (for the CCD) and a power conditioning unit to control the voltages and the thermal control. Back end electronics (BEE), which includes the digital processing unit and a power supply unit. ESA's COnvection ROtation and planetary Transits (COROT), which launched in 2007 and ended in 2013. The main goals of COROT were to find extrasolar planets with short orbital periods (especially planets that are a little larger than Earth), and to perform astroseismology on the host stars. It was the first space observatory dedicated to searching for planets using the transit method, and the CHEOPS method is heavily inspired by COROT. NASA's Kepler Space Telescope, which launched in 2009 and has detected thousands of exoplanet candidates. One of its goals is to find an Earth-size planet orbiting in the habitable zone (where water could exist on that planet) of a sun-size star. While the spacecraft's primary mission ended in 2013 when two pointing devices called gyroscopes failed, Kepler is now on another mission to look at planets in different parts of the sky. NASA's Hubble Space Telescope (launched 1991) and Spitzer Space Telescope (launched 2003) were both designed and launched when exoplanet science was young; Hubble was in fact not designed to look at exoplanets because none were known before its launch. Spitzer was the first telescope to detect the light of a planet outside of the solar system, and has provided information about exoplanet temperatures and atmospheric composition. Spitzer also confirmed or discovered seven rocky planets around a single star called TRAPPIST-1, the largest find of its type. Hubble has also made many exoplanet discoveries and atmospheric measurements of its own. 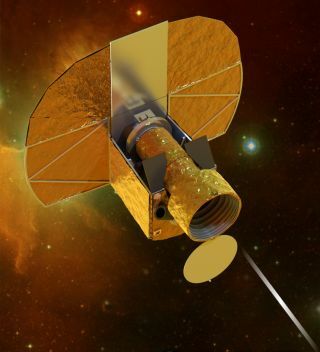 Future missions expected to make exoplanet discoveries include TESS (Transiting Exoplanet Survey Satellite, to look at planets passing across bright stars; launch in 2018), JWST (James Webb Space Telescope, which will have a large enough mirror to characterize some exoplanet atmospheres; launch in 2018) and WFIRST (Wide Field Infrared Survey Telescope, which could directly image exoplanets; launch in the 2020s).